Large Company Service, Small Company Efficiencies. At Element Technical Services, we pride ourselves on four basic qualities of business: Ambition, Innovation, Commitment & Respect. 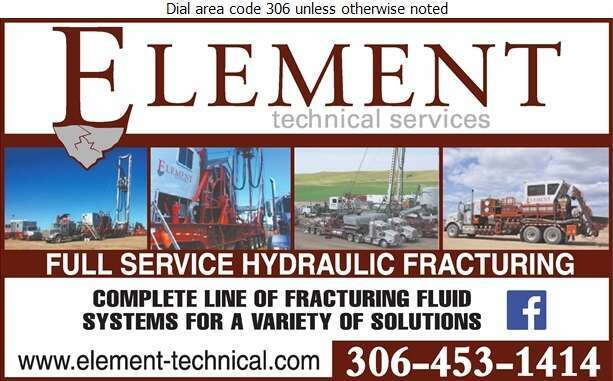 We offer a complete selection of equipment such as hydration units to data trucks as well as fracturing fluid systems and engineering services. Our truck fleet is operated by a dedicated and educated crew that knows the ins and outs of the field. We have fluid technologies that cover water and oil based as well as foamed or energized sources. Our engineering team monitors and analyzes the entire fracturing program with job design, data acquisition, quality control and remote satellite job views. Although we may be a large company, we offer small company efficiencies. Please call us today to see how we can help you.